This past weekend I had the wonderful opportunity to do some camping with a bunch of friends in the New Jersey wilderness, more specifically at the Mahlon Dickerson Reservation — the largest park of the Morris County Park System and encompasses 3,200 acres of wilderness with over 20 miles of multi-use trails. As we continued on our journey, we ended up taking the Pine Swamp Loop, following the teal (mostly) trail. 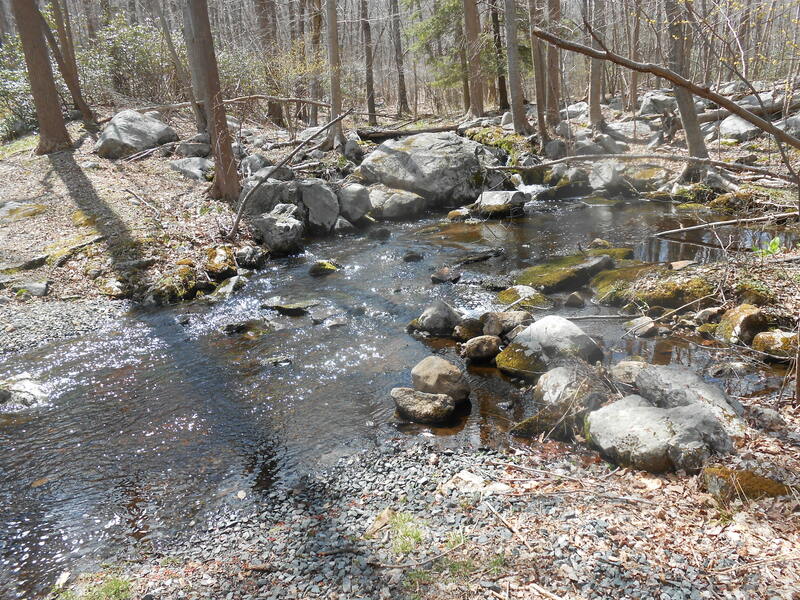 We happened across beautiful streams snaking through the trees — At several points we had to cross over bodies of water. There was even a cute, charming wooden train — Perfect for a child to climb and pretend that it’s real! My inner child wanted to run to the train and do just that. My adult self took a break and refueled myself with trail mix and juice. 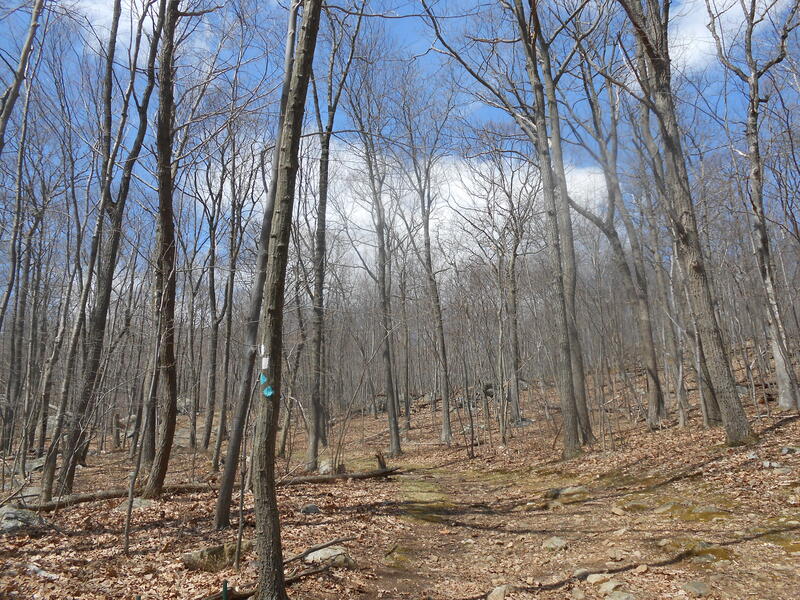 We continued and reached the Highest Point in Morris County, which was 1395 Feet/ 425 Meters Above Sea Level. 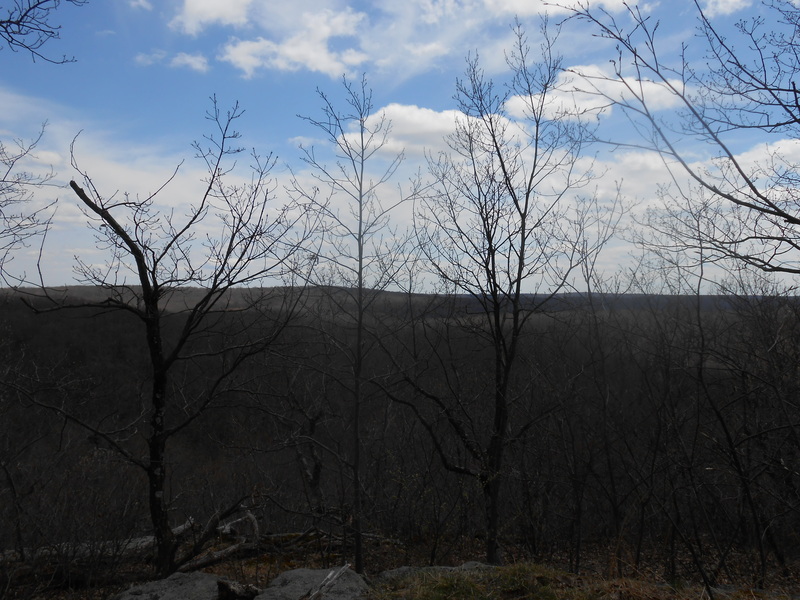 Granted it didn’t feel that high, and thankfully it didn’t require a lot of steep climbing. After the hike, we returned to our campsite and enjoyed some snacks then took a quick trip to nearby Jefferson Dairy for Homemade Ice Cream. I chose the peanut butter based ice cream with chocolate brownie pieces, which was amazingly creamy & rich. I also tried some of the Pistachio which had a delightful, more subtle flavor. 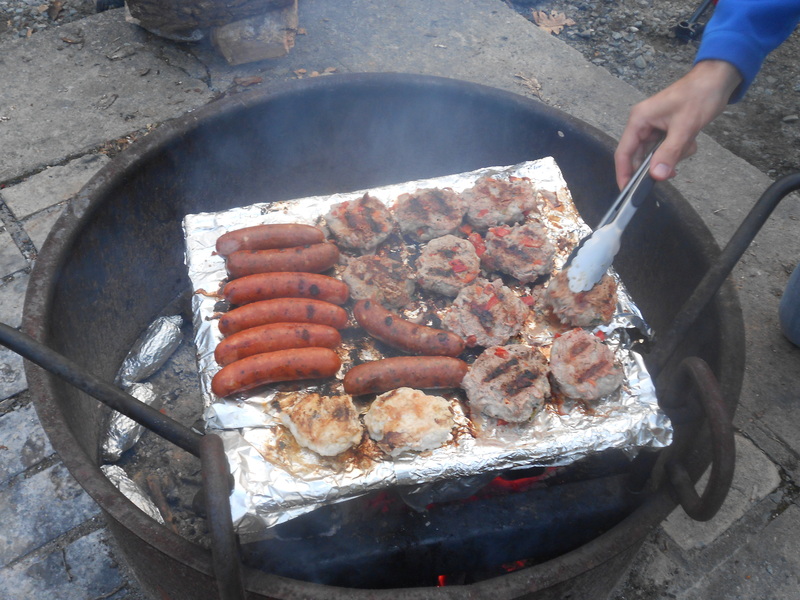 Soon after, we started preparations for dinner which was quite a feast! 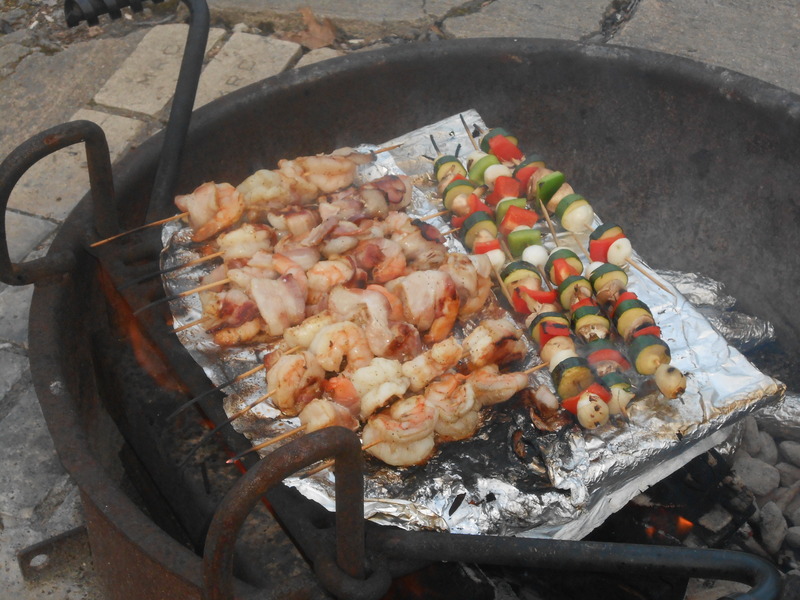 There was bacon wrapped shrimp, skewers of shrimp & pineapple; skewers with zucchini, mushroom, peppers; hot dogs, chicken & pork burgers, sausages; tilapia with dill sauce, vegetarian options: Lentil salad, corn on the cob, potatoes. And of course there were the ingredients for making S’mores. And cake, cookies for dessert. After eating, we sat around the fire keeping warm and talking, telling stories, playing “Would You Rather” and just generally enjoying each others’ company. 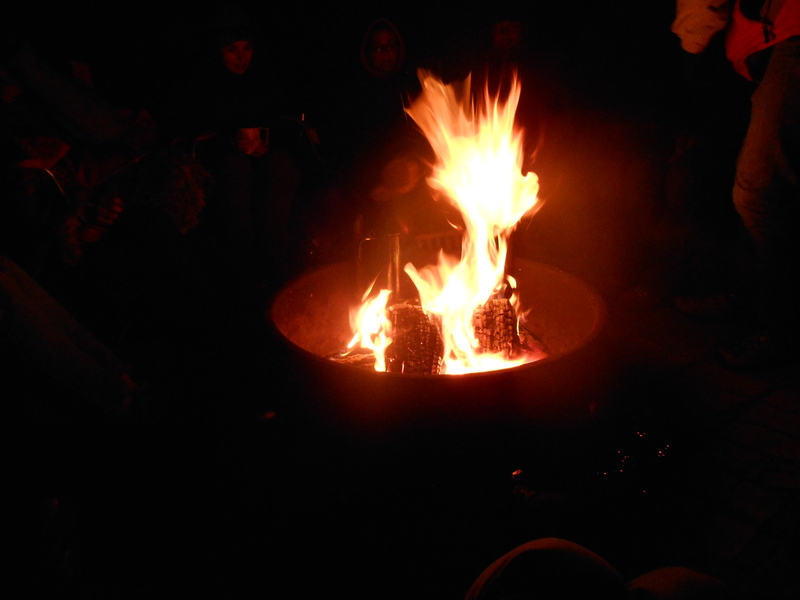 After midnight, some of us hiked to nearby Lookout Point to do some stargazing and see if we could spot any meteor showers… It was lovely, perfectly quiet and wonderful to bask in the wonder of the night sky: The moon, constellations and stars. The next day we prepared a hearty breakfast: Pancakes, bacon, blueberry muffins, bread and cheese, orange slices, and tea/coffee. Delicious! 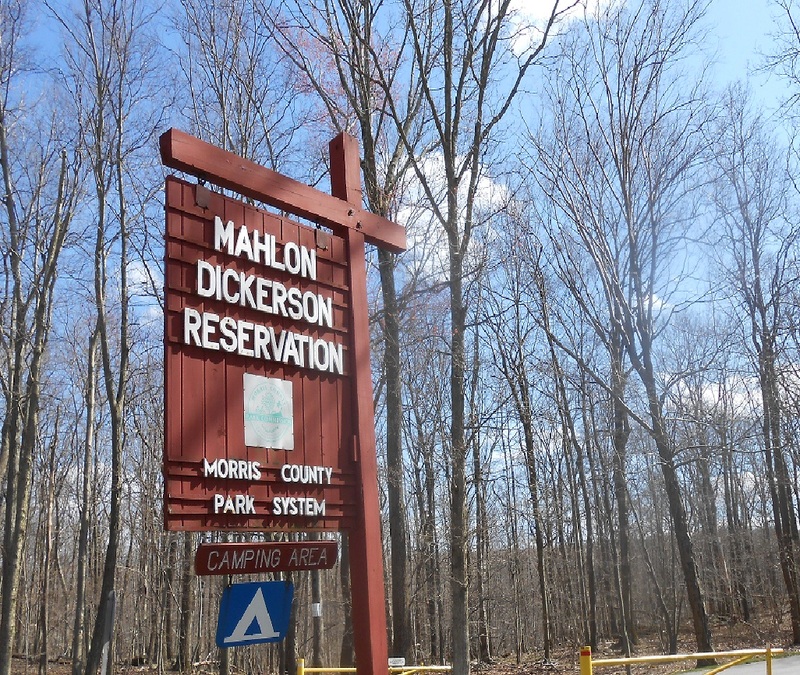 I had such a sweet adventure camping at Mahlon Dickerson Preserve in the Jersey Wilderness, with a great group of friends and look forward to more camping (definitely when it’s warmer out, so as not to freeze in my hot pink sleeping bag!) in the near future.